New: Nibiruan Drones by nerviswr3k! Available Now: TMNT Reimagined by nerviswr3k! nerviswr3k’s Custom Greyscale Inner Child! New 8inch Pilldrone from Nerviswr3k – Available Now! 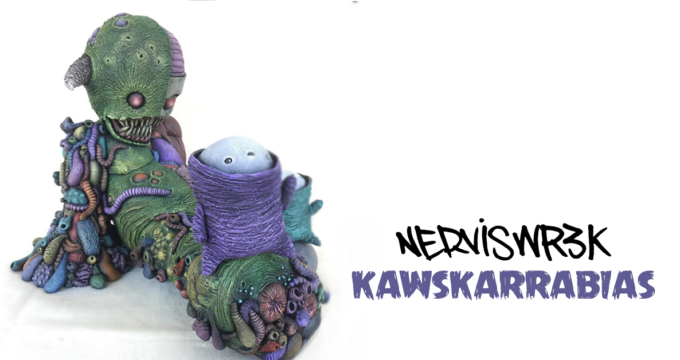 Win this Nerviswr3k Figure! Four Days Left to Enter! ‘Toma’ Trick & Treating Inner Child from Nerviswr3k! TrooperDron3s Inner Child by Frank Montano!